Based in Columbus, Ohio, Lextant is a design research and user experience consultancy, which uncovers and translates consumer desires to help brands create human-centered products and services. Though a leader in the design research industry, including notable work with Fortune 500 companies such as Ford, GE and Procter & Gamble, Lextant had largely flown under the radar during the company’s two decades in business. The majority of Lextant’s work is proprietary, resulting in a lack of tangible examples and timely case studies to share with media or speak to in detail. Lextant brought on Belle Communication in January 2016 to tackle these challenges by bringing its story, expertise and results to light through an integrated thought leadership PR campaign focused on targeted local and national media coverage, executive speaking engagements and award opportunities. Translating Lextant’s niche, complex and often proprietary work in design research was key to telling the company’s story effectively and finding the right media outlets to pitch in Columbus, Ohio and nationally. The Belle team faced the challenge of not being able to share the majority of Lextant’s work with media due to confidentiality. To overcome this, they focused on topical thought leadership within client verticals that supported the company’s sales goals: automotive, consumer packaged goods, retail and finance. The teams then identified several key areas of expertise for Lextant’s executive team to speak to within media interviews, such as: autonomous vehicles and consumer trust; product packaging trends; millennial consumer behavior; the Internet of Things in relation to retail product design; and trends in supermarket layouts. Belle took Lextant’s target verticals and key areas of expertise, and used these to develop media lists, conference opportunities and potential award opportunities within each vertical. 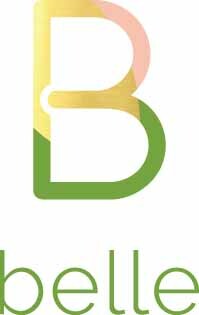 Within the first ten months of working together, Belle Communication secured 27 targeted media opportunities (totaling 7.7 million media impressions) resulting in ten new business opportunities for Lextant with global brands. These leads led to between $1MM and $1.5MM in new revenue in 2016, which Lextant can tie directly back to the third-party endorsement of the earned media, conferences and awards secured by Belle Communication. Through a focus on quality over quantity, Belle secured media coverage opportunities in several key trade outlets aligning with Lextant’s target verticals, supporting the objective to increase thought leadership for the company and CEO Chris Rockwell. Belle also secured coverage in two national publications, The Atlantic and The New Yorker, on the topic of consumer trust and autonomous cars. In addition, the Belle team helped to elevate the profile of Chris Rockwell and Lextant in their home city of Columbus through features in regional publications, such as Columbus CEO, and recognition in prominent local business awards including Columbus Business First’s “Best Places to Work” and Smart Business’ “Smart 50” of Central Ohio.